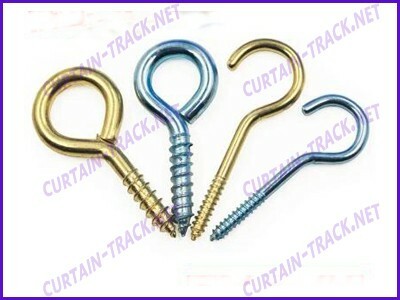 The material of screw in hook can be iron,stainless steel,solid brass,steel.They are used in curtain accessories,windows,doors,hanging.The surface is zinc plated,nickel plated,brass plated,black,white vinyl,galvanized,chrome,etc. We offer screw in hook with very good quality and competitive price, we offer OEM and ODM. 1. ASK: Do you accept the small order? 2. ASK: Should we pay for the sample charge? ANSWER: Well, it is depends, if sample for free, customers should take care of express charge. 3. ASK: What is your lead time? ANSWER: For MOQ is about 10days, for 20F container's quantity is around 20 to 30 days. 4. ASK: Afer receiving the goods, if we find the defect goods, could we get the compensation? ANSWER: Absolutely,after confirming the defect goods caused by us, you will surely get the compesation. In fact, we always pay great attention on production control and inspect all the goods carefully before shipment. 5. ASK: Do you offer other service? ANSWER: Yes. if you need our help on purchasing any goods, just send us your demand details, we will do our BEST to help you, and reply to you as soon as we can.